Worth A Trip: Ghost Towns In The U.S.
Sure, Halloween costumes and pumpkin carvings are fun, especially when combined with a free pass to eat way too much chocolate. But for some people, Halloween is about more than just creative costumes and black-and-orange decorations. Halloween—and the whole month of October, really—is a great time to explore the spooky, macabre, and almost-certainly haunted places across the country. If you’re a sucker for the spooky and historical, there’s no better place to visit than one of America’s fabulous ghost towns. Sometimes spooky, sometimes sad, but almost always quirky and unique, these towns offer both a glimpse into America’s past and a chance to test just how brave you really are. 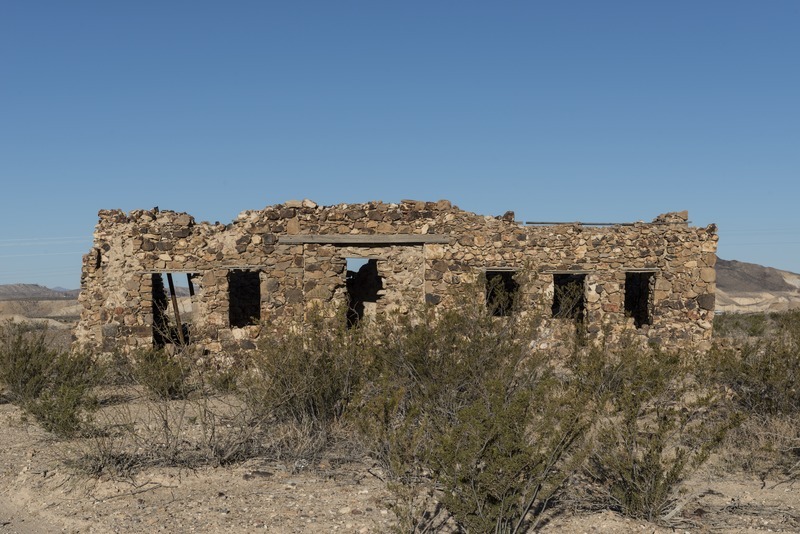 So if ghost tows are calling your name this fall, take the money you would have spent on candy and costumes and put it toward an RV rental, then hit the road to see a glimpse of the past at one of these U.S. ghost towns. 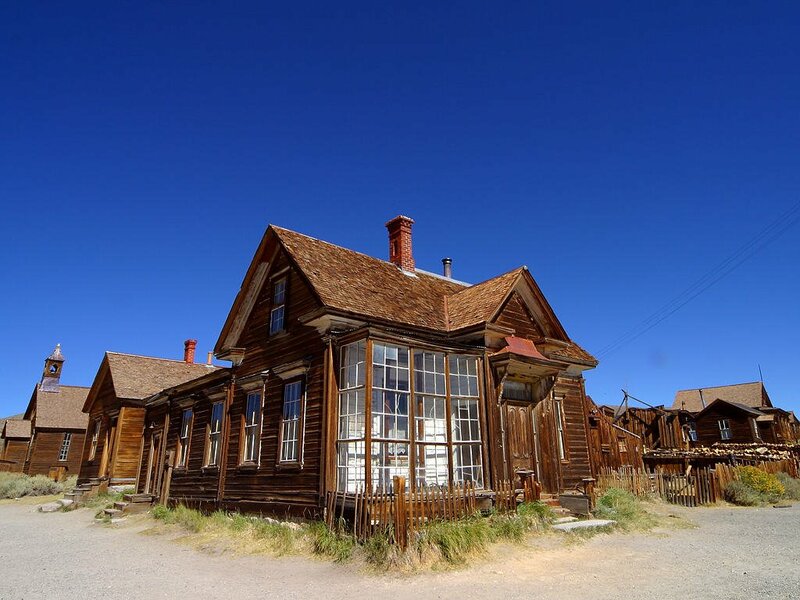 Don’t miss out on visiting one of the best—or maybe the best—preserved ghost towns in the U.S. We recommend visiting in October not just because of how perfectly ghost-towny it really is, but because the long, winding mountain road out to Bodie is nearly impossible to drive in snow and heavy rain. It’s recommended you visit before the winter season, which can start in very early November, thanks to the town’s 8,300-foot elevation. A quick search for photos of Bodie will tell you why this state park is a must-visit location for ghost town aficionados. More than 170 buildings are preserved, including saloons, churches, and homes, and many still have original furnishings and artifacts inside. Though the town is now a state park, don’t expect a gift shop and food court—the town is extremely authentic and entirely abandoned. Tours are available on some days, as are evening and star tours on some days, but otherwise, the park is untouched from how it was during its short-lived gold rush heyday in the late 1870s. Bodie’s remote location and mostly-male population earned it a reputation as one of the most violent mining towns in the country, so if you’re on the hunt for ghosts, Bodie seems like a great place to start. Note: Camping isn’t allowed in the town of Bodie proper, so we recommend staying at an RV park or campsite in nearby Lee Vining, California. Don’t let the name throw you off. 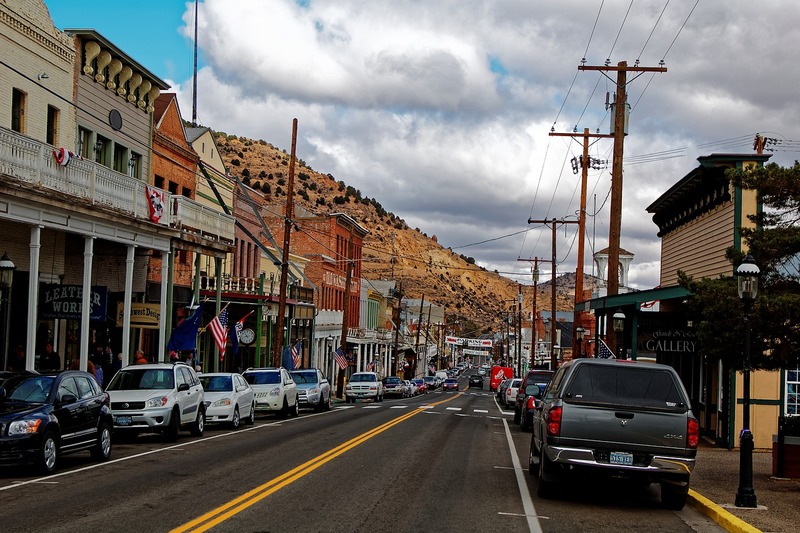 Virginia City is located squarely in Nevada, and it’s a great choice if you like your ghosts with a side of local beer and spooky history tours. Virginia City was the site of the first major silver discovery in the U.S.—the Comstock load, for history buffs—and is another town that shot up rapidly. That boom in development lead to the usual unsavory practices, including forced labor and prostitution, and the town even has an underground tunnel system below the main sidewalk rumored to have been used to facilitate the town’s criminal activity while avoiding the authorities. While parts of Virginia City are still exceedingly spooky, including the graveyard, the town is open to tourists for most of the year, with historical bars, haunted hotels, and even underground mines accessible through trapdoors in some of the businesses. If you’re visiting Virginia City, the Virginia City RV Park is within walking distance to downtown. We recommend stopping in for a pint at the famous Bucket of Blood Saloon, open since 1876, or signing up for the town’s “Bats in the Belfry” walking ghost tours. Although Tombstone may be Arizona’s most famous ghost town, it’s not really a ghost town, thanks to a revitalized downtown area and daily staged “shoot-outs.” So put the town of Two Guns into your GPS instead, which is entirely abandoned. Unlike many ghost towns, which revolved around the gold and silver rushes, Two Guns was developed for its proximity to an easy crossing of the Diablo Canyon. In the mid-20th century, it had a brief revival as a tourist-trap town for western travelers and even hosted a zoo whose abandoned and still-marked pens can be explored by visitors. The town used to have a caretaker, but all reports in recent years seem to indicate that the fences are down and no one is controlling access to the site. In Two Guns, you’ll also find what’s referred to as the “Apache Death Cave,” where 42 Native American Apaches died while trying to hide out from a rival Navajo tribe. Enter at your own risk—both in terms of bravery and physical safety as the cave and surrounding town are seemingly completely abandoned. You’ll find options for where to park in nearby Winslow, Arizona. You could spend months in Texas and not hit the same ghost town twice, so it’s tough to pick just one to visit. But it’s hard to resist the charm and history of Terlingua, a Wild West town turned ghost town turned artistic community. 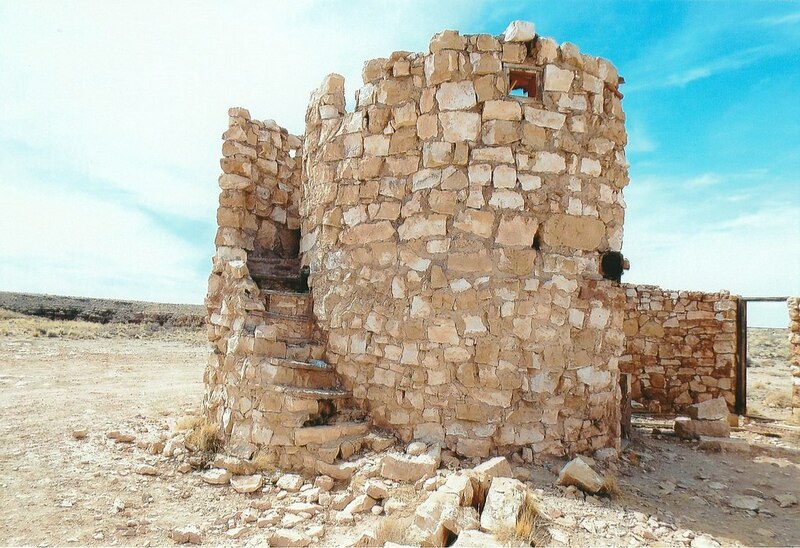 The ghost town part of Terlingua has at least a dozen well-preserved buildings plus a genuine graveyard. A small gift shop exists on site and is usually populated by older residents sitting on the porch in rocking chairs. Given that Terlingua is extremely close to Mexico, you may want to visit during the town’s El Dio De Los Muertos, or Day of the Dead celebration. Nowadays, Terlingua also houses plenty of colorful art installations owing to the creative residents that remain. No one accidentally stumbles on Terlingua—it’s located near remote Big Bend National Park and the nearest major town is El Paso, five hours to the north. Make sure you have plenty of water and gas before starting your trip. If you are continuing to El Paso, you may want to also make a brief stop in Marfa, know for the ‘Marfa Lights’ of rumored supernatural origin. 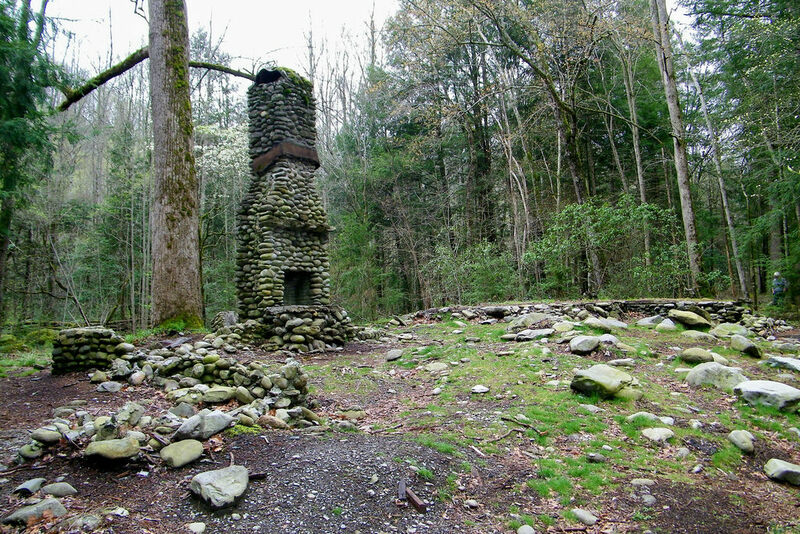 If you like your ghost towns to be really remote, stay at Elkmont Campground in Tennessee’s Great Smoky Mountains National Park and hike out to Elkmont Ghost Town, ne the Appalachian Club wooded resort. The entire area was once a logging camp that turned into a resort community when the owners started selling parcels of land around 1910. A few years later, a hotel was built, and the area remained a vacation destination even once the park was established. An arrangement in which the buildings were owned by the park but rented by the owners was established, though the park stopped renewing those leases in the 1990s, and the buildings have been abandoned ever since. While the park service has removed some buildings, many cottages and cabins are still standing in various states of disrepair. After a few minutes of walking on the park’s Elkmont Nature trail, you’ll start seeing the buildings of the “town.” Camp in at the Elkmont Campground and you’ll be close enough to walk to the remains for a spooktacular midnight visit.